How to apply the proper analysis and the most effective decision-making to detect cyber threats and appropriately defend your organization. From counter terrorism, hactivism, cybercrime and cyber espionage to cybersecurity and anti-money laundering, and fraud protection to network intrusions and malware attacks, private and government organizations must be able to protect against the cyber threat landscape that is both asymmetrical and increasingly sophisticated. The diversity of information that Defense & Intelligence analysts rely on have introduced new complexities into the analysis environment that make providing actionable and effective insight for decision making even more difficult. Designed and developed with the help of intelligence sector experts, our Cogito Intelligence Platform (CIP) is the only threat intelligence platform that puts the analyst first. 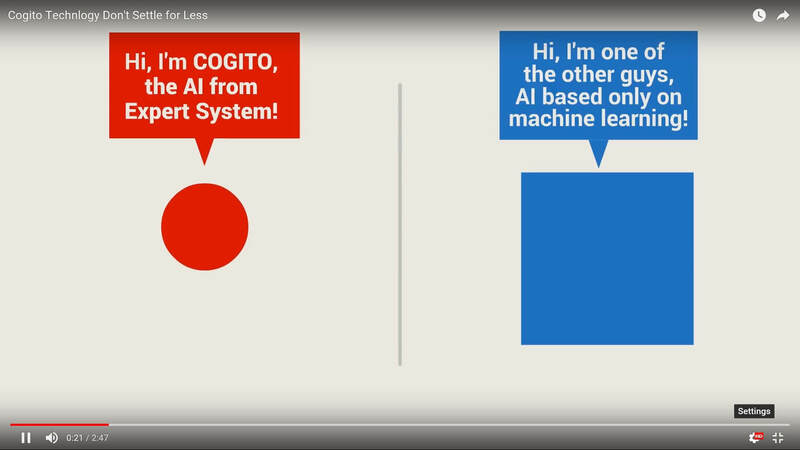 Cogito Intelligence Platform masters AAA technologies by leveraging Cogito AI features to augment the effectiveness and accuracy of text analysis and to automate intelligence processes by applying granular and precise pushing mechanisms. Modular and scalable, CIP provides concrete, effective support for both tactical and strategic defense and intelligence activities, and delivers immediate content visibility and multiple scenarios as data emerges. Information that proliferates in open sources as well as in proprietary knowledge bases and institutional or defense and intelligence community sources (reports, watch lists, transaction and call records, web pages, blogs and on forums or social media, etc.) is unstructured, high volume and essential. The value of a defense and intelligence solution is its ability to make use of all of the information available and to provide the tools that analysts need to gain visibility, context and insight from information. The cognitive technology of Expert System brings Artificial Intelligence capabilities to provide the right information at the right time in the proper context. The result is meaningful, actionable intelligence that enhances insight, fuels more knowledgeable decisions and strengthens what analytics can reveal. The capability to understand, relate and disseminate intelligence as it is acquired can accelerate the risk assessment of an emerging situation and contribute to the development of a threat profile or to the effectiveness of your threat intelligence solutions. For example, money laundering is not only about financial transactions, it’s about abstract relationships connected by commerce and conducted by those who go to great lengths to appear completely legitimate. Obfuscating illegal conduct is intentional and is achieved in increasingly sophisticated ways. Detection of asymmetrical threats and the identification of abstract relationships is a core competence of Expert System. Numerous agencies and leading global companies have deployed Expert System Artificial Intelligence technology to read and comprehend vast quantities of communications, documents and web and social media content from virtually any accessible source.